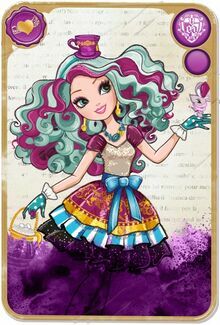 Monster High dolls and Ever After High dolls. Sigh. Every time little daughter goes to a mall, her must stop by place is the toy store or the toy department and she will come to this particular section to see the dolls. She loves her Monster High dolls but well, her poor mummy here cannot afford to buy her all those dolls right? 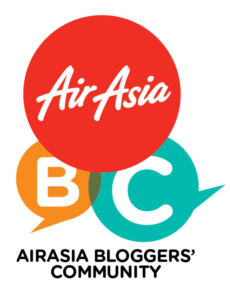 Not especially when a doll ranges from RM49.90 to over a hundred ringgit. Killer Style: I'm a fierce fashionista with a confident no-nonsense attitude. I'm also gorgeous, intimidating, and absolutely loyal to my friends. Freaky Flaw: My hair is worthy of a shampoo commercial and that's just what grows on my legs. Plucking and shaving is definitely a full time job but that's a small price to pay for being scarily fabulous. Pet: Crescent, a scary cute little kitten as fuzzy as I am. Favorite Activity: Shopping and flirting with the boys! Biggest Pet Peeve: I hate having so many of my brothers and sisters in school at the same time. They're annoying, embarrassing, and totally know how to push my buttons. 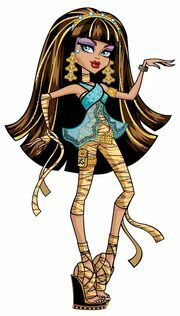 Oh, and Cleo de Nile. Favorite Subject: Economics. One day I plan on having my own fashion empire and I want to know as much about business as I do about fashion. Least Favorite Subject: Gym. It's only because they won't let me participate in my platform wedges. Favorite Color: Gold–it's the only thing Cleo de Nile and I can ever agree on. Killer Style: I'm a true Egyptian princess complete with headdress, exotic jewelry, and oh yeah, the occasional stray bandage wrapping. Freaky Flaw: The dark. Yes I'm a monster who's afraid of the dark - get over it. Pet: Hissette is my sweet Egyptian cobra. Her hiss is honestly much worse than her, er, somewhat poisonous bite. 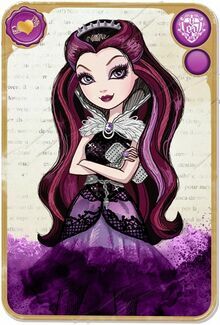 Favorite Activity: Ruling the halls of Monster High and being captain of the fearleading squad. Biggest Pet Peeve: When someone refuses to obey me. Favorite Subject: Geometry. Anything that involves triangles and pyramids is as easy as pie or would that be π? Least Favorite Subject: History. Been there, seen that, got autographs from all the major players. Favorite Food: Grapes, especially when someone is feeding them to me. Killer Style: Skate shoes, hoodies and my signature shades. I also rock the snake hawk. Freaky Flaw: I have to wear sunglasses to keep from turning my friends to stone. It only lasts up to 24 hours but I still hate accidentally causing a friend to rock out. Pet: Perseus is my two-tailed rat named for an ancient Greek warrior mom knew. She doesn't think it's funny. Favorite Activity: Playing casketball and cooking. Biggest Pet Peeve: People who annoy me. Least Favorite Subject: Culinary Arts-I pretend to hate it but it's really the best class at Monster High. Favorite Food: Greek Monster Fusion-it's my own creation. 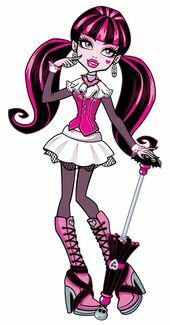 Killer Style: My dad calls me Draculaura but to my friends I'm Ula D. I love to splash my black outfits with some cheery pink and I even carry a frilly umbrella so I can take an occasional walk in the sun. Freaky Flaw: Since I can't see my reflection in a mirror, I have to leave the house not knowing if my clothes and makeup are just right. Of course after 1,599 years of practice I've gotten pretty good at it. Pet: Count Fabulous is my BFF (Bat Friend Forever), he’s a very proud and proper bat but I just can't help but dressing him in the cutest little outfits. Favorite Activity: I love smiling, laughing, and encouraging my friends. 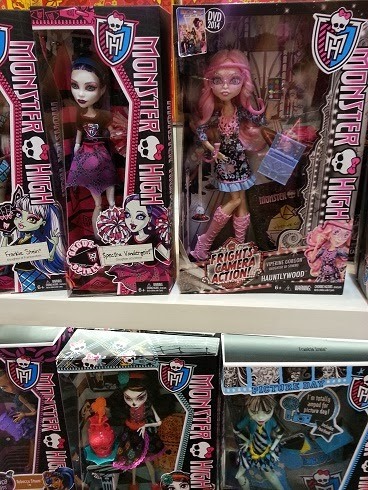 Biggest Pet Peeve: The lack of vegetarian selections in the Monster High™ creepateria is so sad. Favorite Subject: Creative Writing. It gives me a chance to write sweet stories about my friends. Least Favorite Subject: Geography. 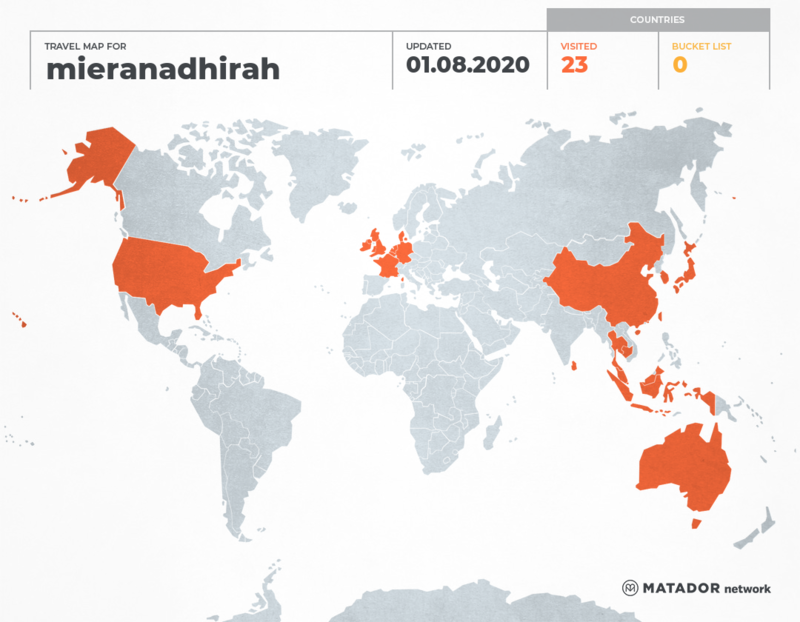 After 1,599 years I’ve been everywhere...twice. Favorite Food: I'm a vegetarian, no icky blood for me, so it's fruits, vegetables and a lot of iron supplements. Age: I'm 15...days that is. Killer Style: My friends say I have the perfect figure for fashion. I’m not really sure what that means yet, but they’ve taken me shopping for some scary cute clothes that are absolutely to die for. Freaky Flaw: Sometimes my stitches come loose at the worst possible moments. Like the day my arm flew off at fearleading tryouts and landed right in front of the most creeparific guy at Monster High. I was mortalfied. Pet: Watzit. I'm not sure all of the things he's made from but Watzit’s pet license is 10 pages long. Favorite Activity: Since I'm only 15 days old I don’t really have a favorite yet! I want to experience everything before I have to choose. Biggest Pet Peeve: Every morning when I come upstairs my father insists on grinning and shouting, "It's alive!" Favorite Subject: History. It's great because it helps me to understand where my friends are coming from. Least Favorite Subject: Swimming. I tend to short out and say silly things when I get wet. Favorite Color: Black and white stripes. Favorite Food: Because I'm only 15 days old, everything I've tried so far is the best thing ever! Age: Let's see...what time is it? Killer Style: Currently it appears to be laboratory chic but I'm hoping it’ll change to something that doesn’t tie in the back and is a little less...drafty. Freaky Flaw: I seem to have a stitch in my side that won't go away. Pet: I think I would like a pet but I would have a hard time choosing just one type. It's too bad there isn't a one kind of pet with all the best qualities put together in one cute package. Favorite Activity: I'm a big fan of walking so far. Biggest Pet Peeve: I haven't even had a chance to develop a small one yet. Least Favorite Subject: I'm planning on liking everything until further notice. Favorite Food: Brussels Sprouts...Dad said to put that down because it would be funny. BFF's: Hopefully I'll have lots of them. Killer Style: My horn rimmed "geek chic" glasses–they absolutely go with everything. Freaky Flaw: I cannot function without a proper schedule and I do not process last minute changes very well. I am also extremely shy which contributes to my lack of spontaneity. Pet: An owl named Sir Hoots A Lot. Even though he absolutely refuses to be a message courier for me, he is always happy to see me and never cares if I am late. Favorite Activity: I love to read and learn new things. Books always fit into my schedule. Biggest Pet Peeve: Last minute schedule changes and monsters who cannot speak zombie. There is nothing quite so frustrating as arriving late and having to explain why to some monster who cannot understand what you are saying. Least Favorite Subject: I believe there is something to be learned from every class. Even dodge ball teaches one to duck. Killer Style: My style is on fire baby! No really, I literally have flames leaping off my body. I'm like my own light show. I also have this smokin' ying-yang symbol tattooed on my back and of course I never go anywhere without my headphones 'cause you never know when a beat will blaze up you. Freaky Flaw: I've got a bad temper. It's not something I'm proud of but every once in a while it flares up and I have to spend a lot of time apologizing for it. I also have a hard time remembering some things. Pet: Crossfade, a chameleon. He's the best pet ever 'cause change never bothers him and he totally digs my music. Favorite Activity: Creating new monster music mixes. I love it when my tunes come alive and I can get all the monsters in the house out on the dance floor. That's why I'm the scary coolest DJ at Monster High. Biggest Pet Peeve: Having to listen to boring music. Seriously, if music can't transform you it ain't nothing but static. Favorite Subject: Music theory. Hey, I didn't get good at this by being lucky. I study and practice my flames off to be the best. Least Favorite Subject: Anything without a beat. Favorite Food: Hot wings. I like 'em hot enough to make a dragon cry. BFF's: I'm down with all the monsters that love my music. Killer Style: I like sweater vests and plain styles that are neat, orderly and buttoned down. It may seem a little quiet and dull but the last thing I need in my life is more loud and flashy. Freaky Flaw: My dual nature makes it impossible for me to know if any plan I make is ever going to come together. It's not that I don't try, but it's like a total creep shoot whether or not I'll actually be where I'm supposed to be, when I'm supposed to be there. Pet: Crossfade, a chameleon. He can blend into any situation and never call attention to himself. Favorite Activity: I'm actually pretty athletic, not like werewolf athletic of course, but I like playing basketball–I mean casketball–and video games. Biggest Pet Peeve: Music with a 4/4 beat played at 90+ decibels. It causes me to lose my short-term memory and my long-term dignity. Favorite Subject: Mad Science. I don't know why; guess it's just in my blood. Least Favorite Subject: Physical Deaducation during dodge ball week. Favorite Food: Macaroni and cheese. Killer Style: I mostly like to creep out in my baggies, tank top and floppies. That way I'm ready for any kind of a scary good time whether it's surfing, screech volleyball or checking out the bro's with my girls. But I also like to show up to parties in my scary cute little black dress just to show everybody I can pull off the look. Freaky Flaw: My skin tends to dry out if I spend too much time out of the water so I go through a fright of moisturizer. Chlorine from the Monster High pool also has a tendency to turn my blond hair blue but it's a creeporific look don't you think? 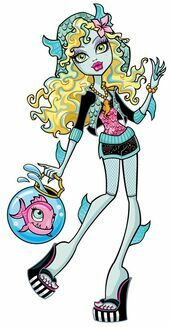 Pet: Neptuna is my pet piranha and I've got a special purse that's actually a fishbowl so I can secretly take Neptuna to class. Favorite Activity: Anything that involves being in, on or around the water. Biggest Pet Peeve: Anyone who treats the ocean like his or her own personal trashcan. Favorite Subject: Oceanography. If I can't be in the water I want to be studying about it. Least Favorite Subject: Geology. Volcanoes + rocks + deserts = my nightmare. BFF's: I'm down with everybody brah. Killer Style: I'm really the most comfortable when I'm just blended into the background. Muted greens and grays are best for me now. Don't want to cause a fuss by being too flashy. Freaky Flaw: I don't have a competitive scale on my body. I don't really think that's a flaw but it really gets Gillington's gills in a flare when I won't race him. Pet: Neptuna is my pet piranha but she's just so aggressive I might need to send her to obedience class. Favorite Activity: Oh, I like to just be calm and quiet and make sure that Gillington gets enough to eat. Being in school is tiring for him and he needs to keep up his strength. Biggest Pet Peeve: Oh, well I don't really have an opinion about things like that. I just like to get along and not rock the boat. Favorite Subject: Study Howl. It's really nice and quiet in there. Least Favorite Subject: Home Ick. All I need to learn about things like that I can learn from Gillington's mom since she knows what he likes best. Favorite Color: Brown or greenish brown. Secret Heart's Desire: I want people to know me as the fairest one of all on the inside as well as the outside. Like my mom always says, "My beauty's not just skin deep." My "Magic" Touch: Whenever I bat my eyes or sing a song, boys and animals can't help but come to my rescue. What can I say? I want to bring out the hero in everyone. Storybook Romance Status: Everyone at school thinks Prince Daring Charming and I are dating. Just because my story ends with us getting married doesn't mean we're an item, okay? "Oh Curses!" Moment: I REALLY can't resist apples. I royally lose control when I see one. Yummy! Favorite Subject: Kingdom Management. Everyone is counting on me to be the best queen ever! Least Favorite Subject: Cooking Class-ic! I swear someone keeps trying to slip poison in my food. Secret Heart's Desire: Naturally, to find true love. My glass slipper can't be picked up by just anyone. I don't care if he's royalty, just as long as he's my soul mate. My "Magic" Touch: Well, all fairytale princesses can call animals, but I can actually talk with them. Plants too! Fairies, pixies, you name it. You could say I'm connected to nature. Storybook Romance Status: Hunter Huntsman. He's my knight in shining armor. But I have to keep it a secret, okay? Since I'm a princess and he's not a prince, we could get in serious trouble! "Oh Curses!" Moment: If I'm ever late for class, my hexquisitely clean dress bursts into filthy old rags. What a fairy-fail! Favorite Subject: Environmental Magic. It's my royal responsibility to take care of the world around me. Least Favorite Subject: Princessology. I know my legacy is important, but going to class to learn to "behave royally"? What-ever-after! Best Friends Forever After: Lots of people are my friends...Apple White, Raven Queen...but Hunter Huntsman is the only one who really understands me. Secret Heart's Desire: Well since my family comes from an old kingdom, having my whole story told and being recognized for my Royal roots would be just right! My "Magic" Touch: I can unlock any door. It's no big deal, really. Doors like being walked through. You only insult their destiny by locking them! Storybook Romance Status: I can't wait to meet the Prince Charming that's just right for me! "Oh Curses!" Moment: Why do people get so mad when I borrow their things? I just assume if they leave their stuff out in the open, they want to share it with me. Favorite Subject: Debate. Obviously, people need to know when they're just wrong. Least Favorite Subject: Arts & Crafts. If you want my opinion, I don't think my paintings should be criticized. 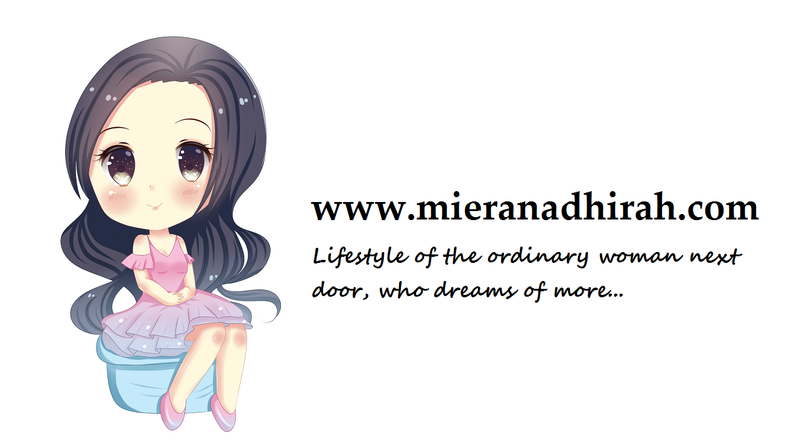 Secret Heart's Desire: Live every day to the fullest! You never know when you're going to prick your finger and slip into a century-long nap. My "Magic" Touch: I can hear everything for miles and miles, but only when I'm sleeping. And why would I want to do that when there's so much to live for? Storybook Romance Status: My Prince Charming is 100 years away, so I'm not in a rush to kiss any frogs. "Oh Curses!" Moment: I sometimes fall asleep anywhere and everywhere. This gets me in trouble in class all the time. Favorite Subject: Royal Student Council. From throne-coming to prom, I love planning spellebrations for my friends! Least Favorite Subject: Grimm-nastics. I mean, we all have to wear the same ugly uniform? Gross! 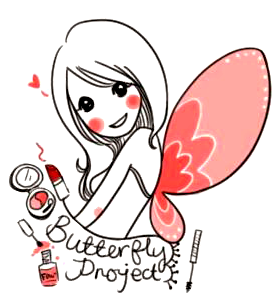 Parent's Story: I'm not a fairytale, I'm a myth. Secret Heart's Desire: While I do love guiding people to their "special someone," it's about time I include myself among those deserving of love. My "Magic" Touch: Everyone knows my Cupid's arrow can make a person fall in love, but my real magic is helping people listen to their heart. Storybook Romance Status: Dexter Charming sets my heart aflutter, but I'm having such a hard time letting him know my true feelings. "Oh Curses!" Moment: I'm such a terrible shot with my bow and arrow. It's so not me. Favorite Subject: Mythology. You have to know where you came from before you can know where you're going. Least Favorite Subject: Crownculus. I've said it before, I'll say it again—not everything can be solved with an equation. Best Friends Forever After: Apple White, Raven Queen and everyone in between with an open heart. Secter Heart's Desire: Yeah, I want to be a real girl, but mostly I just want to choose what I want (or don't want) to say. My "Magic" Touch: I'm a hexcellent swimmer because I always float! Hey, being made of magical wood has its advantages! Storybook Romace Status: I cannot tell a lie, a relationship is not exactly my top priority now. "Oh Curses!" Moment: Because of my curse, I can't keep a secret. It's not my fault, but my friends have to be really careful what they say around me. Favourite Subject: Arts & Crafts. Whether I'm painting, drawing or sculpting, I feel most free when I'm being creative. Least Favourite Subject: Woodshop. All those saws and sand belts give me stress splinters. Best Friends Forever After: Raven Queen, Madeline Hatter and Cerise Hood. Secret Heart's Desire: Sometimes I just want to proudly howl to the world, "I'm proud of who I am!" Hopefully someday I can. My "Magic" Touch: The speed and enchanced senses of my father, plus my magic red cloak lets me travel unseen through shadows. Wicked cool, huh? Storybook Romance Status: I'm really shy around boys, but I've always been drawn to the leader of the pack. "Oh Curses!" Moment: I have to always hide my ears under my hood. If anyone finds out my parents were the first Rebels, we could be in big bad trouble! Favorite Subject: Grimmnastics, especially cross country running. Maybe it's because I run like the wind. Least Favorite Subject: Chemythstry. I sometimes feel like I have a hard time mixing well with others. Parent's Story: Every fairytale where a Prince Charming comes to rescue. Secter Heart's Desire: I don't want to be just anyone's Prince Charming. She should be my true love. That's my ideas of Happily Ever After. My "Magic" Touch: For some reason, girls swoon when I take off my glasses. Storybook Romace Status: I'm trying to summon up the courage to ask out Raven Queen. "Oh Curses!" Moment: I have a hard time seeing without my glasses. I've been told they block my "enchanting eyes," whatever that means. Favourite Subject: Hero Training. I may not be the king of the class but I love a good challenge. Least Favourite Subject: Advanced Wooing. Unlike my brother, I always trip over my words when I try to charm girls. Best Friends Forever After: My brother Daring Charming and my roommate Hunter Huntsman. Secret Heart's Desire: To be on the side of truth and justice for all! Also, I kind of like making sick animals feel better. My "Magic" Touch: I can make anything out of random stuff I find. Want a shoe closet? Give me tree branches, some honeycomb and about 10 seconds. Boo-ya! Storybook Romance Status: Ashlynn Ella is my everything - my Once Upon a Time; my Happily Ever After. One day I'll figure out a way to make our fairytale a reality. "Oh Curses!" Moment: My traps always break! How can I be the next huntsman if I can't hunt? Favorite Subject: Beast Training & Care. What could be better than working with animals? Least Favorite Subject: Dragon Slaying. It breaks my heart thinking about those poor, innocent fire-breathing giant creatures. 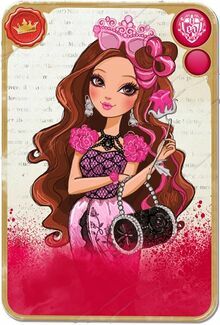 Best Friends Forever After: Daring and Dexter Charming are my buddies, but I can really be myself around Ashlynn Ella. 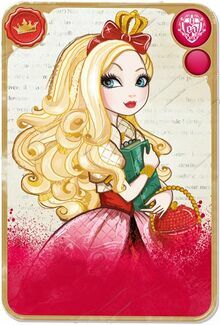 Secret Heart's Desire: To explore this mad world, and also own the most famous Hat & Tea Shoppe in the land! My "Magic" Touch: I can pull anything out of my Hat of Many Things. Tea sets, school books, white rabbits... they're all in there somewhere. Storybook Romance Status: I'm waiting to have tea with a boy who loves madness as much as me! "Oh Curses!" Moment: Well, everyone thinks I'm mad. So nobody believes me when I tell them I can see into the future. Favorite Subject: Che-myth-stry. I love making potions that make you grow or shrink! Least Favorite Subject: Debate. If more people spoke in riddles, maybe I'd do better in this class. Best Friends Forever After: Raven Queen and Cedar Wood. Though in truth, I like everybody! Secret Heart's Desire: I just want to be allowed to stay true to myself. Just because I'm not a damsel in distress doesn't mean I don't deserve a Happily Ever After. My "Magic" Touch: Like my mom, I can cast spells. Storybook Romance Status: Try "not even looking." I have to figure out where my story is heading first! "Oh Curses!" Moment: Unfortunately, I can only cast "black magic." Anytime I use my powers for good, the spell backfires! Favorite Subject: Muse-ic class. What, you thought only princesses get to sing power ballads? Least Favorite Subject: Magicology. So I've got a knack for casting magic. Doesn't mean I have to like it. "God, please make me into a television....."